Thank you so much for visiting Idaho Tax & Bookkeeping Services, the team that works with you to make things happen. At Idaho Tax & Bookkeeping Services we offer our clients professional, accurate and timely aid and advice to help them succeed in business and their personal lives. We offer a variety of different financial services that range from personal and business tax services to audit and payroll assistance. Below you’ll find a list of the services solutions we offer-- solutions to even the hairiest of financial woes. Take a look, and, if you have any questions, give us a call or send an email today! Owning and/ or operating a business can be a stressful, and time consuming activity; a part of your life that nearly engulfs everything else. And, when you are neck deep in shareholder reports, market research, and the day-to-day operations of your business, the last thing you are going to want to do is set aside your already scarce time to do taxes. And that is our first promise to you: we will do all we can to give you as much of your valuable time back as possible. We’ll take care of everything you need. Taxes are one of those parts of life that doesn’t seem to get easier or better with age. In fact, it can be quite the opposite. Usually, each passing year will bring new challenges, completely different circumstances and plenty of confusion to go around. Any major life event will completely change the way you do your taxes. Did you get married? What about a house-- did you buy a house this year? The list goes on and on-- and if you are not on top of it, you could find yourself drowning in unfamiliar financial waters. “Offer in Compromise” is another of the services we offer at Idaho Tax Services. It is a program through the IRS that allows you to negotiate your tax debts down to a lower amount. It is a great system for those who may think their tax debt is illegitimate, can’t pay it back, or weren’t given fair warning about the debt to begin with. It can be a complicated process, but if you really are unable to pay or are worried about the legitimacy of the debt, then it is worth the fight. Excellent representation, accuracy, and the highest level of customer care are what we give our clients, even in the face of audits and examinations. No one likes doing their taxes in the first place, let alone combing through it all a second time to make sure everything’s correct. The word audit is a scary one for a lot of people. We have all heard horror stories about audits-- the endless searching for documents, the hours of number crunching, and the mind numbing details that go into an audit are never fun for anyone, but that is why you want our help. We can get you through it and we will do our best to get you out on top. Most business owners don’t join the ranks of the entrepreneur because they couldn’t wait to start doing their own accounting. No, they became entrepreneurs because they had an idea and a passion. Well, thanks to Idaho Tax Services, you can find yourself liberated from the time consuming task of bookkeeping and get back to your ideas and to rekindle your passion. Whether you’re a small, medium, or large business with few transactions or thousands of them a day, we can help you out. Another part of being a business owner that can be a drag is payroll. Having to go through and check and double check hours, overtime, bonuses, commission checks, and tax withholdings can be a pain-- and again, it will take up your valuable time. So, why not give us a chance to take that burden off your shoulders? 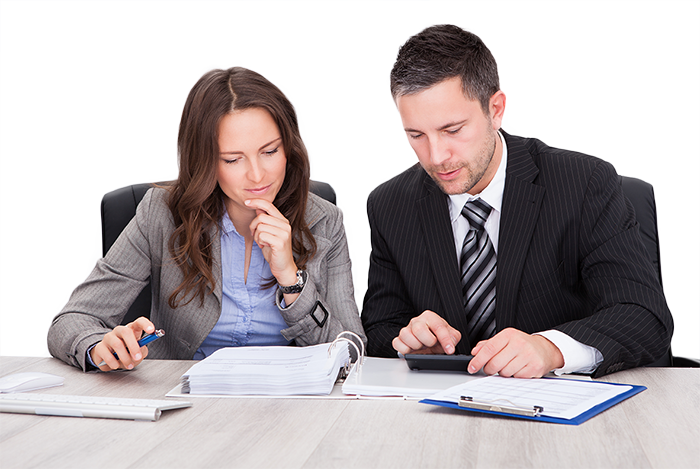 Why should I hire a tax professional? Tax preparation, and other financial endeavors, can be quite daunting. There are thousands of complex laws on both the state and federal levels that can be quite the task to overcome. Something you are probably very well aware of if you’ve ever tried it on your own. But is it worth it to pay someone to do it for you? The answer is an irrevocable “yes!” But why is that? Let’s face it, taxes and other financial tasks you have to do as an individual or a business can cost you your time-- and a lot of it, as we discussed above. When you work with a tax professional you can save yourself a lot of time so you can get back to what is most important to you. We are first and foremost here to help you. If you have any questions, no matter what, we will be here to answer. As we have discussed already, tax code is impressively complicated and sometimes downright confusing causing you to sit there searching the web for answers when you could just ask us! We will also give you timely advice. It is important to note that, unless you change the search settings on Google, you run the risk of trusting outdated info if you use the internet to answer your questions-- a problem that you won’t have if you can simply give us a call. Again, we can’t stress enough how much money you can get back from your taxes if you just know what to look for-- and we know what to look for. While a huge tax return isn’t a guarantee, a large percent of the time, we can get you more money back on your taxes than if you tried it yourself. Whatever it is you are looking for in a tax professional, Idaho Tax Services is the answer. We can get you the help you need when you need it with the utmost care and precision. We are dedicated to customer service and will bend over backwards, if necessary, to get things done. Call us today for more information. An enrolled agent is a person who has earned the privilege of representing taxpayers before the Internal Revenue Service by either passing a three-part comprehensive IRS test covering individual and business tax returns, or through experience as a former IRS employee. Enrolled agent status is the highest credential the IRS awards. Individuals who obtain this elite status must adhere to ethical standards and complete in 72 hours of continuing education courses every three years. "WE WANT TO EARN YOUR TRUST, & SAVE YOU MONEY." Excellent knowledge of existing tax laws, wonderful service and very professional. Ilir Nina at ITBS saved me a lot of money, times and headaches dealing with Idaho, California and IRS. I am extremely HAPPY with the results. Highly recommended. © 2016 Idaho Tax Services. All Rights Reserved.